An open letter to the Europe For the Many conference on 26-27 October from Greek socialist Theodora Polenta. Dear Comrades: I am looking forward to attending the event "Europe for the Many: a left strategy for transforming Europe" on 26-27 October. But I am concerned about the fact that the conference's top-billed speakers are the Portuguese prime minister and the Greek finance minister. Read more about Europe for the whom? The Syriza election was a reflection of the hard, militant class struggle by the working class and neighbourhood community movements against the attacks of the “Black Block” Memorandum governments of the years 2010 to 2012. The latest poll in Greece shows Syriza has the support of just 15% of the electorate. Finance Minister Euclid Tsakalotos has boasted that a third of the austerity measures Greece had to impose as part of the current programme have been “totally completed”, another third are “totally agreed”, while the rest are subject to “political negotiation”. Read more about Greece: Towards a fourth memorandum? 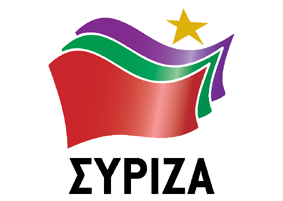 Participants in the Second Congress of Greece’s once-left party, Syriza, on 13-16 October, were reduced in the role of applauders of the Syriza-Anel government’s memorandum doctrines. Jeremy Corbyn has said he will defend freedom of movement in the negotiations around Brexit. He has declared: “I have visited the camps in Calais and Dunkirk, which are in an appalling state. Those people are in a very perilous situation. They are all humans, to whom we must reach out the hand of friendship and support”. He has called for Britain to admit more refugees. On 7 September, Britain's immigration minister, Robert Goodwill, announced that the government will build a four-metre-high wall for about one kilometre along the main port highway in Calais, France, to prevent refugees or immigrants boarding lorries to cross the Channel. Construction will cost about £1.9 million, will start this month and is to be completed by the end of year. "Many continue to pass [the border]," said Goodwill, speaking to a parliamentary committee. "We have raised fences, now we will raise the wall." Thousands of refugees are now trapped in Greece. Recently the Greek government broke up the makeshift camp of 12,000 people at Idomeni on the Macedonian border, forcibly moving people to warehouses in Thessaloniki. Many families have been split up, people are missing. Solidarity spoke to Dashty Jamal, Secretary of the International Federation of Iraqi Refugees, who recently visited a camp on the island of Samos in search of missing Kurdish refugees. During the Peloponnesian War between Athens and Sparta, the Athenians captured the small island of Melia, considered to be friendly to their rival city state. The Melians, powerless before the might of Athens, pleaded for mercy but to no avail. The Athenians stated that justice belonged to the strong, they would do as they pleased “and the weak suffer what they must” (note that the original quote is a statement, not a question — a subtle but important difference). On Sunday 10 April 2016, the Macedonian authorities brutally suppressed an attempt by Syrian refugees to cross the border into Greece. Tear gas, plastic bullets, stun grenades and water cannons were used against the refugees, including children, when they tried to scale the fence to cross the border. Médecins Sans Frontières reported seeing 200 people suffering from breathing problems, and another 100 suffering injuries The tear gas used reached camps near by causing families to flee with children to nearby farms to escape the effects of the chemicals. Read more about Let them in! On Monday 4 April Greece began deporting migrants. After making a perilous journey across the Aegean sea, they are being sent back to Turkey. Under a deal with and within the EU, and with the agreement of the Syriza government, all migrants who arrived in Greece prior to 30 March and deemed not in need of international protection are to be deported.